A Tactical Critíque Of Operations. This article was crafted in light of the recent violent controversy concerning the conduct in the national forum of the more notorious leaders of the militant anti-abortion movement. One of them has gained national, and even world-wide, attention because of the website he hosts, which has since been pulled, twice, by different servers. ChristianGallery.com has been covered in many national news forums since the host of the site was sued in a court in Oregon by a group of doctors whose names where published on the site in question, under a page heading of the “Nuremburg Files.” The issue in question was whether or not the host implied or otherwise threatened violence and death against these abortionists and if this was allowable expression under the First Amendment of the United States Constitution. Is this a First Amendment Issue? Yes, to a point. The freedoms guaranteed to us as citizens of the United States should be guarded jealously by all who, by the grace of God, live under them. One commentator "noted what she termed the "bedrock principle" of the First Amendment — that government officials cannot punish expression simply because they disagree with or dislike the content of the expression." I agree, but from a Constitutional – a temporal – perspective. But in the Church of Jesus Christ, an exclusively spiritual organism, we definitely need to police doctrines and philosophies being broadcast by those members who claim to be representatives of Him. The LORD said, "Not every one that saith unto me, Lord, Lord, shall enter into the kingdom of heaven; but he that doeth the will of my Father which is in heaven." (Matthew 7:21) There are "ministers" who lavishly call Him "Lord" who are in complete rebellion, by word or deed, against Him in His revealed Will in the Word. To be clear, I read through pretty much every article and explored every page on the ChristianGallery.com site before it was pulled. The unworkable, even unreasonable, political philosophy. The vicious mocking and condemning vulgarity directed against the true Church and any Christian not in complete agreement with the writer and his world view. The pornographic postings of various sorts not even related to the abortion issue. I am amazed that anybody who claims to be a born again child of God has a problem seeing this situation for what it is, and then not having the guts, the spiritual backbone, to stand up against the intimidation and coercion rampant throughout the site, and in a much wider forum, to challenge the teachings of this clandestine group as they are circulated, uncontested, throughout the Christian world. The simple fact that the whole site was almost devoid of the Gospel should immediately send up a red flag in the mind of any discerning believer and call the writer and the organization’s credibility into question. TACTICS ~ RIGHT AND WRONG. Is the Christian Church just another worldly “activist group” employing “techniques” widely used by the world to reach people? Of course not! We are Ambassadors of Jesus Christ and the Kingdom of Heaven sent out to preach the Gospel to a lost and dying world. We don’t employ slick, savvy, “marketing tactics” in publishing the Powerful Word of God. An effective spiritual fighter doesn’t rely on hype, sensationalism, and hysteria to seek to accomplish God’s objectives. That’s absurd. They somberly and professionally trust wholly in the Will and Power of God. The Lord said, “So shall my word be that goeth forth out of my mouth: it shall not return unto me void, but it shall accomplish that which I please, and it shall prosper in the thing whereto I sent it.” (Isaiah 55:11) Where do secular, worldly tactics come into play in that? The LORD, the Commander of all earthly deployed forces of the Army of Heaven, that is, the visible Spirit filled Church in the world, has clearly laid out clear directives and protocols for the effective execution of offensive spiritual warfare against any and all of the enemy’s interests and holdings. Are these types of violent, overt tactics promoted by the author of this site, of God; employed by God? Of course not. That’s preposterous and clearly against New Testament teaching. How about promoting one and two man clandestine insurgent “cells,” functioning independently and under personal initiative, to execute covert guerrilla ops against abortion service related hard and soft targets? I defy anybody to show me Biblical justification for that! It is written, ". . .For though we walk in the flesh, we do not war after the flesh: (For the weapons of our warfare are not carnal, (threats, bombs, or bullets) but mighty through God to the pulling down of strong holds;) Casting down imaginations, and every high thing that exalteth itself against the knowledge of God, and bringing into captivity every thought to the obedience of Christ. . . ." (II Corinthians 10:3-5) A true, discerning Christian, an effective spiritual fighter, comprehends, grasps, and accepts the Biblical warfare axiom, a first principle, that our war is spiritual, and not physical! It is by faith, and not by sight! So what is the plague of abortion a symptom of? The immorality and loose morals of the nations. It’s a product of man’s sinful rebellion against God. What is the antidote for man’s sinful, rebellious heart? Killing them? Threats, intimidation and violence? Of course not. Jesus rebuked his disciples for this same type of mindset and heart. You know not what manner of spirit you are of. . . . So what “spirit” are they of? SPIRITUAL COVERT OPERATORS AND DOUBLE AGENTS. Are these tactics sanctioned by God? No. Not by a long shot. Jesus rebuked His disciples for craving these types of tactics and actions, and He rebukes His followers today, through His written, revealed Word for grasping at the same tactics. Because they just don't work! And Satan and his subordinates know they don’t work. To the contrary, these tactics by purported “Christians” strengthen and exacerbate the situation. That’s why Satan skillfully and carefully promotes them, and that through the tried and true offensive warfare tactic of inserting the covert, double agent behind his enemy’s lines. All he has to do is find and groom a few willing, frustrated souls with the right background and training to manipulate and deceive as his covert operators and double agents. The proverbial “wolves in sheep’s clothing,” tasked and deployed to destroy the ongoing work of restoration and salvation in American society. Hearers of the Word, and not doers. (James 1:23-25) Having a form of godliness, but denying the Power thereof. (II Timothy 3:5) From such, we are commanded to turn away. The cause is so noble and right being trumpeted by these purported “men of God,” and many are wooed and coerced into following them because of their vulnerability due to a lack of foundation and training in the Word of God and an unBiblical guilt which is encouraged by the cunning, persuasive, intimidating text of these writers. Yet we read, and have to discern, “. . . .For such are false apostles, deceitful workers, transforming themselves into the apostles of Christ. And no marvel; for Satan himself is transformed into an angel of light. Therefore it is no great thing if his ministers also be transformed as the ministers of righteousness; whose end shall be according to their works.” (II Corinthians 11:13-15) Is the anti-abortion leadership’s frustration in the light of the macabre holocaust which is the modern abortion industry’s record understandable? Yes. But is stooping to their, the abortionists, bloody level; the slain abortionist’s blood on the Churches’ hands, the Biblical way to proceed? Is it God’s Will that we blunder into the deceitful snare of the enemy like dumb sheep? Again, what’s the core problem here? Has the anti-abortion movement made any headway these past ten years in the legislative arena on their current course? Have any of these overt, aggressive tactics in the physical realm worked? No. Much to the contrary. Rather, the losses have been substantial, from the relentless defeats of the partial birth ban legislation in Congress to the Freedom of Access to Clinic Entrances Act (FACE). Is this due to a repressive, ungodly government and liberal court system? Yes, partly. But that is a government elected by the majority of the people, a society that doesn’t have the moral backbone and fiber to demand that a errant, adulterous President be tossed out on his ear. Then, the Federal law enforcement community is demonized and attacked for aggressively responding to these bombing and shooting incidents, as if they should be required to differentiate between who is a "terrorist" and who is purportedly "not." Hey, it's all the same thing! The answer sure isn’t within the governmental forum. Actually, it never has been. Because the lesson not learned is you can’t legislate morality. The unregenerate heart of man still remains. I’m certainly not advocating abandoning the political arena, but we should be doing the one, and not leaving our primary orders undone. Like they have been undone these past three to four decades. Satan has gleefully gained much ground as the Church, through the auspices of the “Conservative Movement,” still remains pre-occupied trying to advance the Kingdom of God in Washington, while leaving the theater of battle in the spiritual realm practically forsaken. And that is where we are being over-run. How many of us can admit that the Church has not shut down the abortion industry in America because a lot of these abortions are being conducted on Christian women, our own mothers and daughters, who have too easily fallen into sexual immorality? Right. I thought so. As goes the Church, so goes the nation. It is clear there is only one way to reverse the moral slide that this nation has experienced these past decades. By returning to the old ways of engaging the enemy in battle. By gearing up exclusively with the issued weapons of our warfare and aggressively attacking the problem at it’s source. CHURCH IMPOTENCE? OR REBELLIOUS UNBELIEF? Do you want to stop the abortion industry? Do you want to shut it down and rip the black heart right out of it? Do you want to effectively lay siege to the blood-stained granite walls of this seemingly unstoppable, unassailable stronghold? The host of the ChristianGallery.com site decried and ridiculed the “impotence” of the Church in America. This is true. It’s true because the Church has been operating outside of her true Power source for so many years and relying on her own futile “efforts.” The only effective antidote to ever combat the moral anarchy of this nation is unwavering faith in the Power of the Living God and the preaching of the Gospel. The written Word of God. As simple as that. Both these men were subsequently blasted by many in the Conservative Christian world for taking such a stand. Although I don't agree, as previously stated, that we should completely abandon the political arena, their position on once again giving the Gospel of Jesus Christ preeminence once again in the Church in America is key to any hope of ever changing the social fabric of our current majority ruled form of government. “This is a manual for those who have come to understand that the battle against abortion is a battle not against flesh and blood, but against the devil and all the evil he can muster among flesh and blood to fight at his side. It is a how--to manual of means to disrupt and ultimately destroy Satan's power to kill our children, God's Children.” The manual then sets down a number of standard guerrilla warfare tactics to choose from and employ in a bid to disrupt the abortionist’s macabre little craft. Oh, really. The temporal/spiritual contradiction is obvious. This is blatant heresy, delusion, and utter folly! This is a classic example of a group of Christian people completely abandoning the Truth and Power of the Word of God, His directives, and succumbing to Satan’s deception of turning to their own rebellious efforts to advance God’s Kingdom and purposes. I remember reading the ChristianGallery.com posted account, crafted by the Rev. Paul Hill from his Florida death row prison cell, an account portraying his shotgun slaying of an abortionist and his bodyguard. I was appalled as he detailed the turmoil in his soul as his God-given conscience battled with the murderous demonic forces which prevailed and held sway over the very abortuary he was standing by. But he, his conscience already overpowered, was driven onward, and killed the two. Don’t you see this for what it is? What an antithesis of position and deed! What a contradiction in calling and action! Oh, what a paradox in profession and creed that a man of God, a minister, would succumb to his own bitter cynicism and nihilism, his own spiritual blindness and obstructed view of the third dimension to do this! What a duality in vision that he would submit to this Satanically energized action and attack the outward, physical representations of the work of an unseen, sinister foe, one who is only overcome by unseen weapons -- challenged and destroyed in the Arena of the War of Ideas -- and by acting in this manner, become guilty of the very offense he is seeking to prevent! Is this man a hero? Is he to be commended and lauded? No! What a pitiful, defeated soul. Did he accomplish anything? Some may say he saved a few more babies from being killed that day. 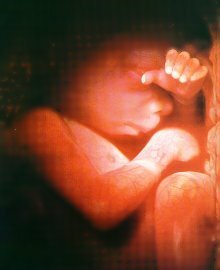 Yet, what a trivial, frivolous prize, in that this incident strengthened Satan’s hand and position, hardened the hearts of many against the legitimate Pro-Life movement, silenced a potentially powerful voice for the Gospel, and paved the way for the continued genocide of so many more unborn children. What Paul Hill most certainly has done is to effectively begin a systematic and militant campaign by the leftist liberals in this country to curtail constitutional liberties that Christians of this nation, the true warriors, have exploited for many decades to bring the Gospel to a dying world. What a grievous tragedy. What a tragic story. The only way to effectively combat the spiritual enemies of the Church is for the Church to utilize exclusively the tools of our warfare as directed in the Bible and fight exclusively within the protocols stated therein. The militaries of the nations of the world have their doctrines which they fight by. The LORD as Commander in Chief of the Army of Heaven has His. And we must comply with these doctrines of the Bible, our war manual, lest we careen into disobedience and sin -- and subsequently, failure and bitter defeat. And there lies the heart of the problem for so many of the challenges that face the true, Spirit-filled Church in this nation concerning, not only this relentless battle, but many other issues. We have fallen away from true faith in the mighty Hand of God these past thirty/forty years, and put our faith in the things of the world, whether governmental institutions, political parties and activism, church marketing strategies, religious denominations, or a "social gospel," in a deluded effort to resolve so many of the complex but exclusively spiritual and moral issues at hand, instead of the powerful and effective spiritual tools, the "weapons of our warfare" we have always had access to in the revealed Word of God. Jesus said, “All power is given unto me in heaven and in earth.” (Matthew 28:18). He then said, “Behold, I give unto you power to tread on serpents and scorpions, and over all the power of the enemy: and nothing shall by any means hurt you.” (Luke 10:19) And, “ According as his divine power hath given unto us all things that pertain unto life and godliness, through the knowledge of him that hath called us to glory and virtue: Whereby are given unto us exceeding great and precious promises. . . .” (II Peter 1:3-4 ) Jesus said the GATES OF HELL would never prevail against His Church. Anybody who says we don’t have the Power and spiritual resources to overcome in this society, and world, for good and the Gospel is seriously lacking in true faith, and by that, calling God a liar. Until the Word of God is lifted up, until Jesus Christ, the Revealed Word of God, the Power that spoke the universe into existence, is given exclusive dominance and supremacy once again within not only the individual Christian’s life, but the forum of the born-again Church in America as well, the spiritual stalemate in this nation will persist, the veiled darkness which has settled over her will continue to prevail, and her future effectiveness in the world will hobble along, so attenuated and weak. We have fallen away from the true weapons of our warfare, those things issued to us in the Bible (Ephesians 6:10-20) and have trusted in our own wisdom, pride, and understanding. We have become blind, and have turned to the U.S. government, our own efforts, to somehow deal with society's problems. God Rules. God is Sovereign in the affairs of men. God has said, “Behold, I am the LORD, the God of all flesh: is there any thing too hard for me?” (Jeremiah 32:27) And "I, even I, am the LORD; and beside me there is no saviour." (Isaiah 43:11) Yet we still refuse, after the visible decline of this nation, to believe that He can intervene, that He wants to intervene, on this nation’s behalf. And because of our lack of faith in His Word and His Mighty Hand and refusal to repent of our hard-hearted, cynical unbelief, these wars have come upon us. In II Chronicles 16, Asa, king of Judah, was rebuked by the LORD through the prophet Hanani for his tactical blunder of trusting in the arm of man, and his own understanding, by relying on an alliance with the king of Syria. 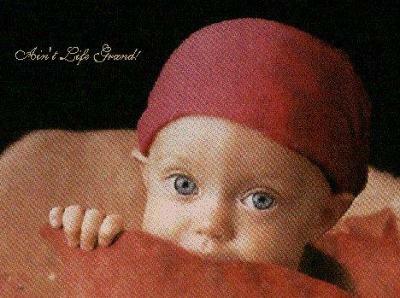 And it is so, as we see the abortion wars raging today, with it’s thirty-two million plus and climbing casualty count. A war which unfortunately rages because the Church is guilty of trusting in her own wisdom, perceptions, and understanding; clinging to destructive, fraudulent, and self-designated leaders; not understanding the Power and Sovereignty of God; walking by sight, and not by faith. The turmoil in America today has been characterized by the secular broadcast and print media as the “culture wars.” The “war of ideas.” How do the demonic forces of Hell carry out their strategies and schemes to oppose the Church and undermine and discredit the Holy Spirit’s work in society? Through the ideas and actions of men through the whole realm of society. By influencing, manipulating, and beguiling the wide open and rebellious minds of the unbelievers, and the weak, undisciplined minds of those Christians not founded solid and unmoving on the directives of the Word of God. This started way back at the beginning with Eve being deceived by Satan in the Garden of Eden (Genesis 3) by beguiling her to question the Will of God, saying, “Yea, hath God said. . . ? Jesus engaged in this same warfare with Satan during His temptation in the desert. (Matthew 4) Satan sought to lead Him in rebellion against the Will of His Heavenly Father, and Jesus, utilizing the Sword of the Spirit, engaged the enemy in unwavering resistance by holding to the Word of God, saying, “It is written. . . .” This is a conflict that still rages today. Liberalism and socialism? Doctrines of devils. (I Timothy 4:1) Humanism and the teaching of the Evolutionary beginnings of man? Doctrines of devils. Relative truth and subjective morality? Doctrines of devils. 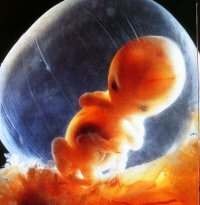 Abortion on demand and as a viable birth control/population control technique? Doctrines of devils. And there is only one way to effectively combat them. By fighting back in all quarters with the Word of God and the unfathomable spiritual resources we have access to as promised in the Word of God. The enemy's ideas are fluff and folly in the presence of the superior Truths of the Bible. Yet we see that a national revival took place after the death of Asa, during Jehoshaphat’s reign, so know all is not lost. BIBLICAL DIRECTIVES IN EFFECTIVE EXECUTION OF SPIRITUAL WARFARE. A few Spirit filled Christians within the national Christian forum have recently said this is where we are at socially because we have failed to pray regularly for our leaders (I Timothy 2:1-4) to protect them from the dark cloud of black evil which prevails in the nation’s Capital; even through the nation. This is true. The current crisis in our national leadership is evidence of that. 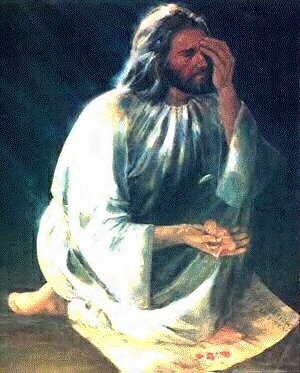 Yet, the LORD patiently waits and pleads with His Church till she finally be exhausted from fighting in her own futile, temporal efforts, and finally abandoning all others, falls spent and pleading at the foot of that Blood stained Cross in genuine and faithful intercessory prayer for God to intervene on this nation’s behalf. And that unencumbered by our lack of belief and trust. The Bible says, "Looking diligently lest any man fail of the grace of God; lest any root of bitterness springing up trouble you, and thereby many be defiled. . . ." (Hebrews 12:15) He waits, until we, every believer, every congregation, finally bows to His incomprehensible Power and Sovereignty, and truly repents of our unbelief, faithlessness, spoiled apathy, bitter cynicism, and rebellious hard-heartedness. And until then, and only then, will the Holy Spirit break forth and heal our scarred hearts and fill us with the knowledge and understanding (Colossians 2:2) of the mystery of the Power of God. True faith, believing prayer, genuine repentance, submission to Biblical law and directives. And if, ultimately, this nation has to be brought under the yoke to accomplish that, then it will be so. Are the abortion rights people too hard-hearted and vicious? So was Saul of Tarsus as he rode horseback proudly down the rode to Damascus, with authorization from the governing authorities to arrest and incarcerate any Christian he found. It says he was “breathing out threatenings and slaughter against the disciples of the Lord.” (Acts 9) Yet we see the LORD (with no help from any man) met him in the way and knocked him off his horse and flat on his back. Paul, trembling, quickly asked, “Who art thou, Lord” and “Lord, what wilt thou have me to do?” Are the abortion rights people any different? No one can escape from the unleashed Power of God, the Holy Spirit. No one. And should that time come, the true, Spirit-filled Church, the true “remnant,” a term the Army Of God erroneously calls themselves, shall rise up once again from the foot of the Cross, washed in the Blood of Jesus, empowered by the Holy Spirit, and with eyes open to the real adversaries, the forces of Hell which seek to destroy this nation, lay ferocious, audacious, unsurrendering siege to these dark strongholds which plague this nation with nothing but the issued weapons of our warfare, once again. They will finally understand that the Word of God and It’s impact is not ever bound! (II Timothy 2:9). That the Lord’s victory is not key on the cooperation of the U.S. government, the U.S. Constitution, the U.S. Supreme Court, our access to the Internet, or any other such thing, but is only limited by our own finite perceptions and irrational fears. The myriad commentaries have been written in opposition to government legalized, on demand abortion, from the most eloquent of elder Christian Statesman, to the lowliest and obscure grunt in the field. The rallies have been held and the organized rescues engaged in. We obviously now have an systematized, Christian philosophy based, guerrilla outfit operating in our midst, and that clearly far afield of the Law of God. 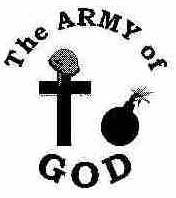 The “Army Of God” and ChristianGallery.com and their philosophy is the resulting sin of a cynical, unbelieving Church, ripe for recruits to Satan’s cunning, deceitful promise of “results” outside of patient, faithful obedience to the clear directives and protocols of the Lord. It is clear the Church needs to vigorously re-evaluate her tactics and motives in the Light of God’s Love to clearly assess what is being done wrong, repent of her faithlessness and cynicism, and then stand and oppose these double agents within the camp, exposing them for what they are, and moving forward to true conquest in these matters. This nation needs spiritual revival, audacious, ferocious spiritual warfare throughout the second and third dimensions. Not guerilla war on the streets. The repercussions of refusing to submit will continue to be most severe, and that at the expense of the innocent. A commentary on abortion by Gary Moore. 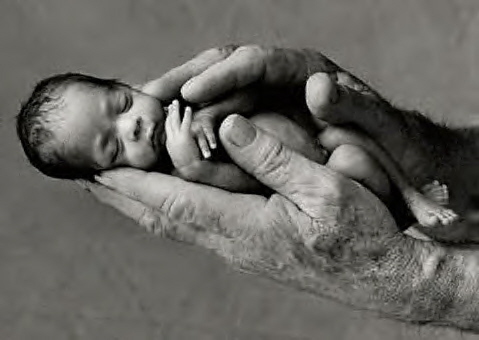 Apart from a revival of Christian faith, there will be no change in the abortion scene in America. . . Apart from a revival of religious faith and of religious discipline, there cannot be a change in society and there cannot be a change in law. Should Christians take a stand against violence in all circumstances? - Is it ever right to use deadly force in defense of life in the way some pro-life people have done? (Abortion and child abuse go hand-in-hand in this country). NOTE: The author does not wish to engage in long-winded email debates.